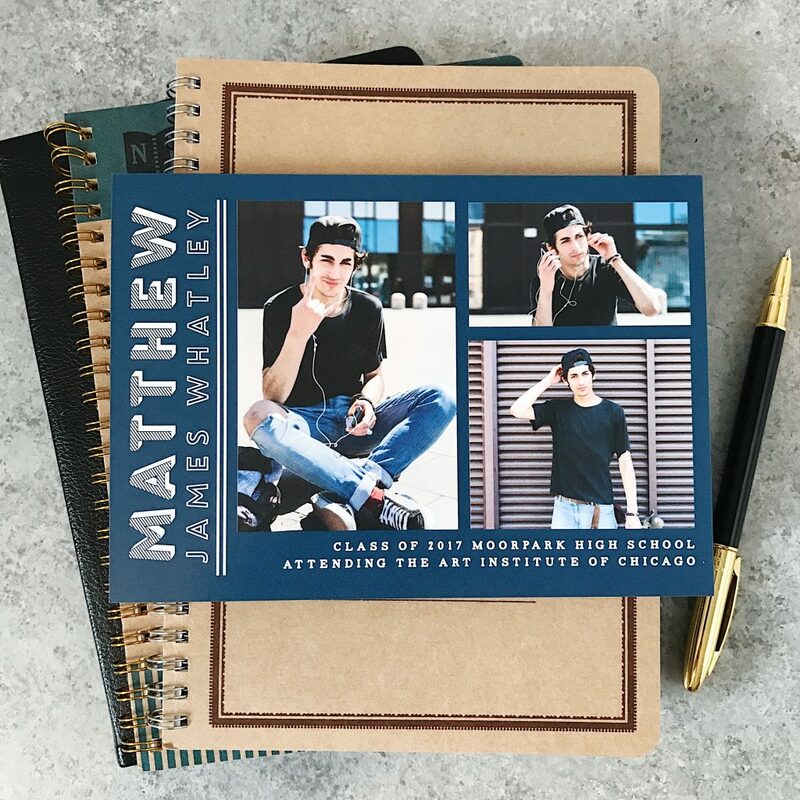 Celebrate the moment of your child’s Graduation and save time with Personalized Graduation Invitations and Thank You Cards! This post is sponsored by Basic Invite and contains affiliate links at no extra cost to you. The opinions and love for this product are 100% mine. Please see my full disclosure here. 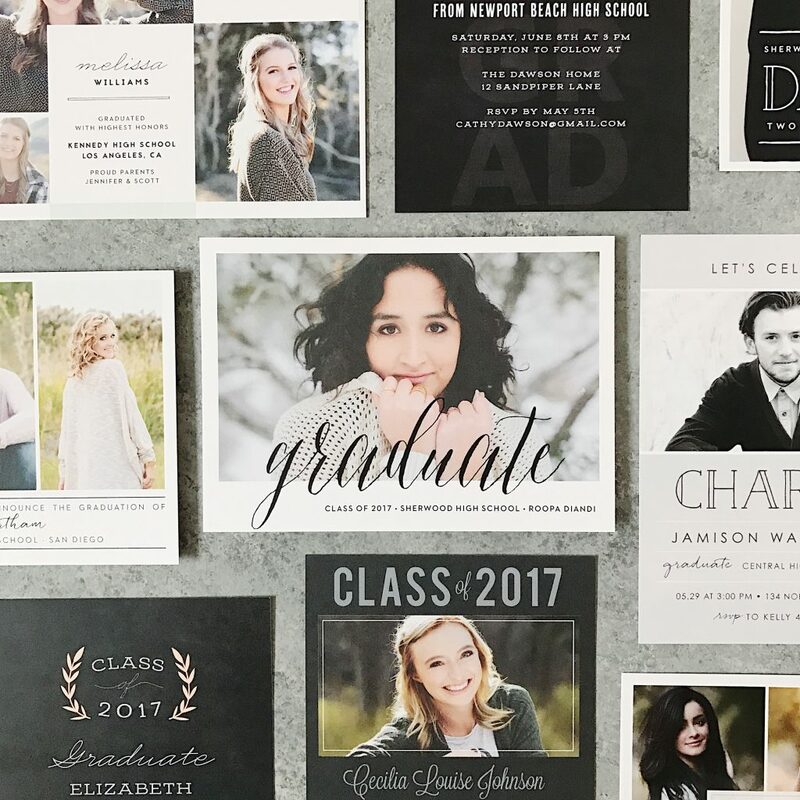 Planning for your child’s Graduation, whether it be kindergarten, middle school, high school or college, is such an incredibly happy time. You want to celebrate every moment. After all, it only happens once! 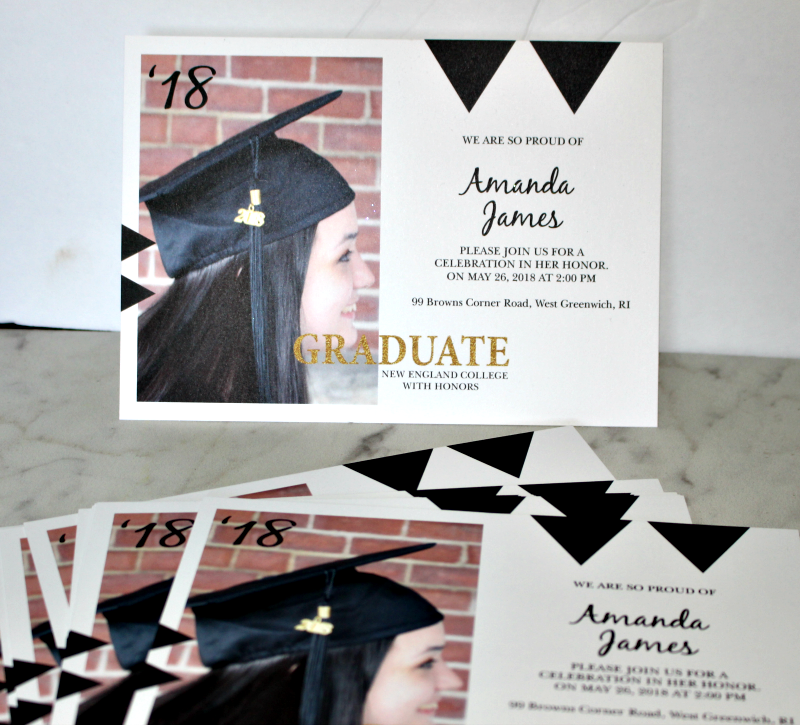 My daughter, Amanda, just graduated College last week and let me tell you, the best thing I did was design and order Personalized Graduation Party Invitations and Thank You Cards from Basic Invite. As a DIY and Craft Blogger, I tend to want to make everything, but I have learned through the years of planning many parties, that some things are better left to the experts. I really wanted to be “in the moment” at the Graduation and also focus on the details of the party. 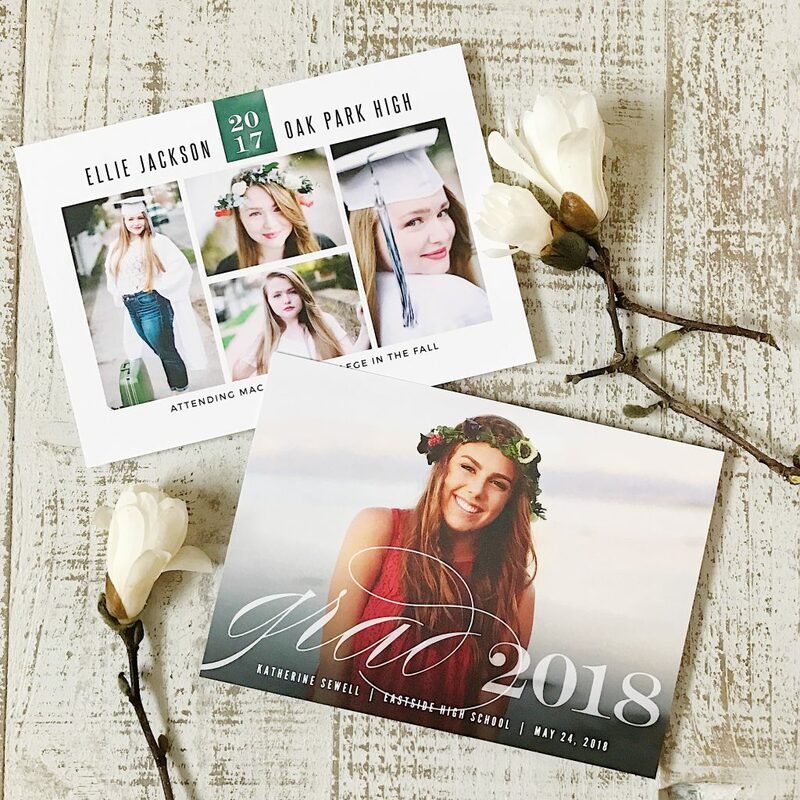 By ordering Personalized Graduation Invitations, it removed any stress I was feeling about getting the invitations sent out timely. Let me point out a few key details that really made this process easy. I love the black banner and the pop of gold. It is elegant without being too formal. This next feature is something that saved me so much time and energy! My least favorite thing about sending out invitations is handwriting the envelopes. It takes so long and my handwriting is terrible. Well, no need to worry about that! Basic Invite has an address capturing service where you can share a link on Facebook, Twitter, Instagram or any social media, to request friends and family’s addresses. 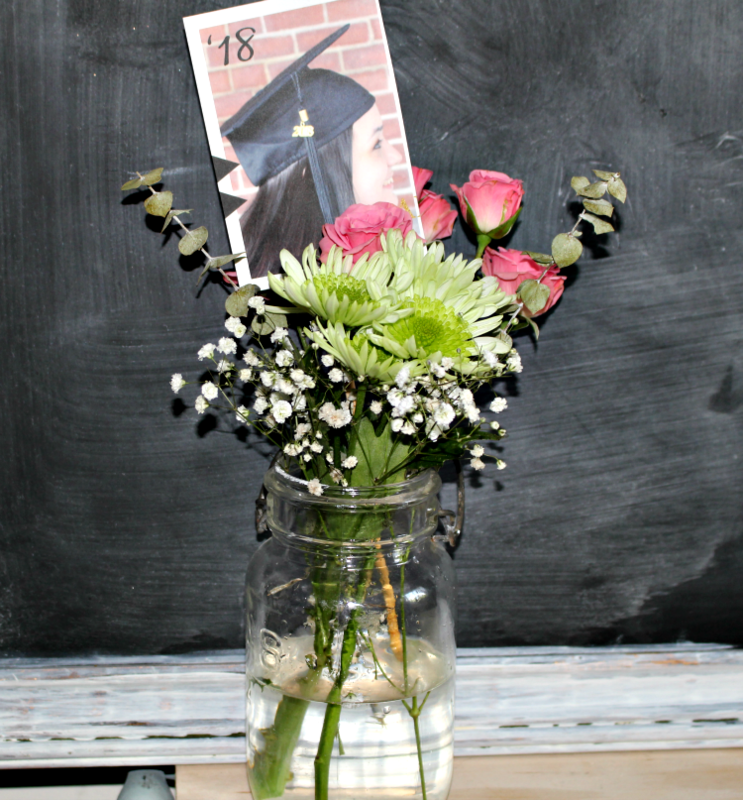 I had a few Graduation Invitations left, so I cut the main photo and added it with a bamboo skewer to the floral centerpieces. My DIY hobby (obsession) had to come in somewhere right? I really love how they look in the mason jars. 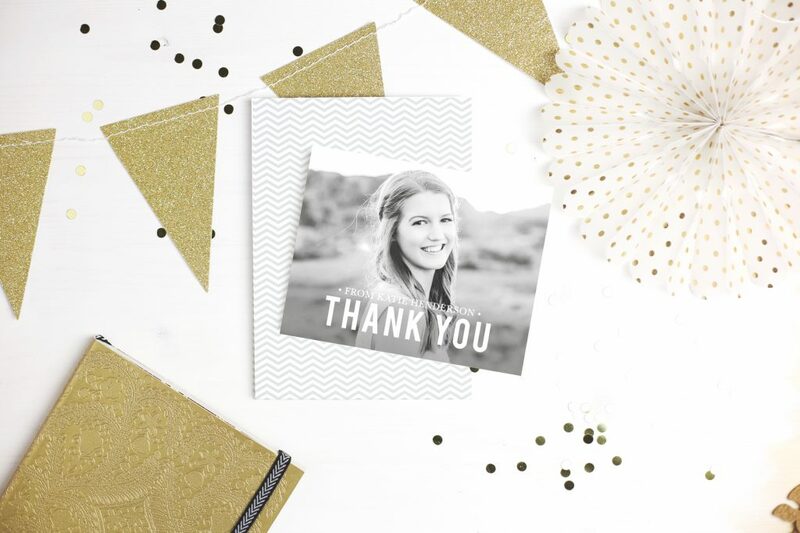 You can’t forget the Graduation Thank You Card! My daughter is thrilled not to have to handwrite her thank you cards. She will be able to write a note on the inside, add a stamp and she is done! The ease and convenience is worth every penny! Plus if you order from Basic invite right now you can save 15% with coupon code 15FF51. 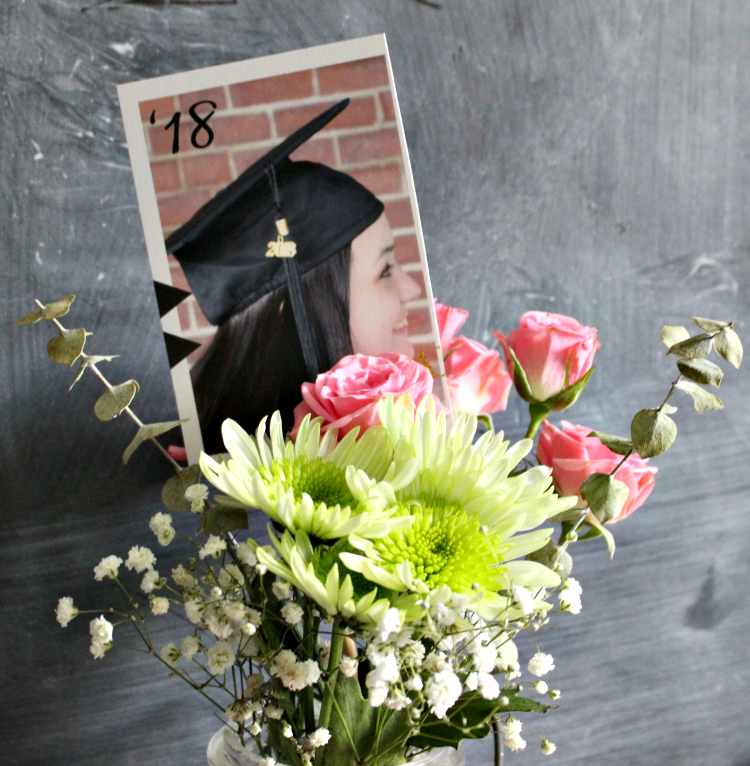 Save time and money plus celebrate the moment this Graduation Season! You can follow Basic Invite on Facebook here and Instagram here. And Our Crafty Mom on Facebook here and Instagram here. Thank you so much for visiting and have a very happy LONG weekend! A huge thank you to Basic Invite for adding to the enjoyment of Amanda’s Graduation Celebration! I agree that some things are better left to the professionals. We used a different company for my daughter’s graduation, but I’m always willing to check out new companies. My youngest son graduations next year and I’ll take a look at what this company has to offer. He may like their style better. Those are so beautiful! Pinned. These are anything but basic! Wow, they look really good. 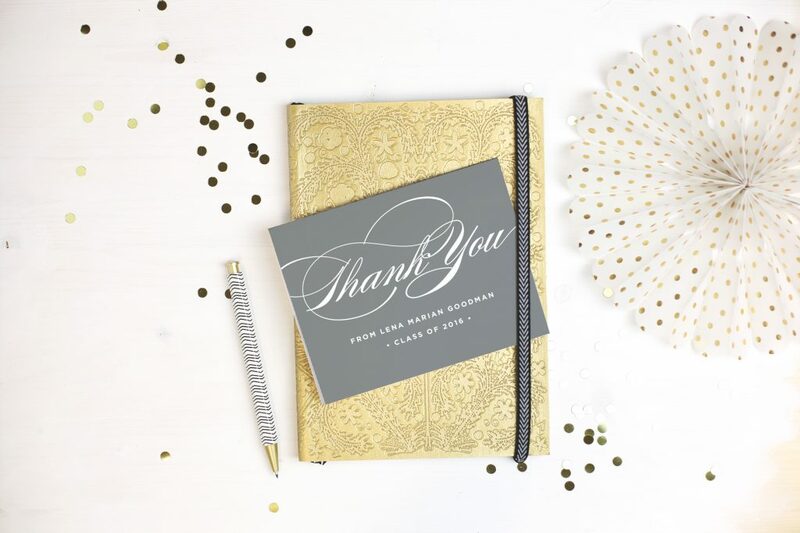 I do design and print my own stuff sometimes but when I need something special like the gold foil and all the matching invitation suite and envelopes it’s much better to stick with a great company like this. The personalized invitations look amazing! These are gorgeous! Love all the designs! Such a nice idea! We won’t have a graduate for another four years, but I’m saving up ideas, so thank you for this one! These are beautiful! I love the designs. I love to make everything to, but sometimes it just becomes overwhelming. I’m sure you daughter had an amazing day. They really are cute! Thanks for sharing with SYC.